The centre is a smoke free and alcohol free zone. The Sanctuary is a beautiful grand space with high ceilings. 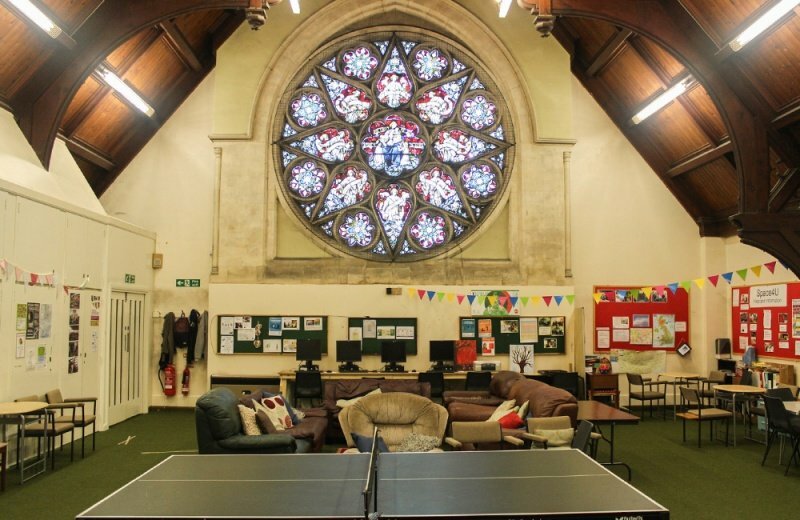 It has three big stain glass windows from the original church building and two huge stain glass window, one with a modern feature. The room has a sound system, with projector and a large remote control screen. The alter is in its original form and can be used as a stage. It also has a P.A. system. Chairs and tables are available and it has a capacity for 80 people. 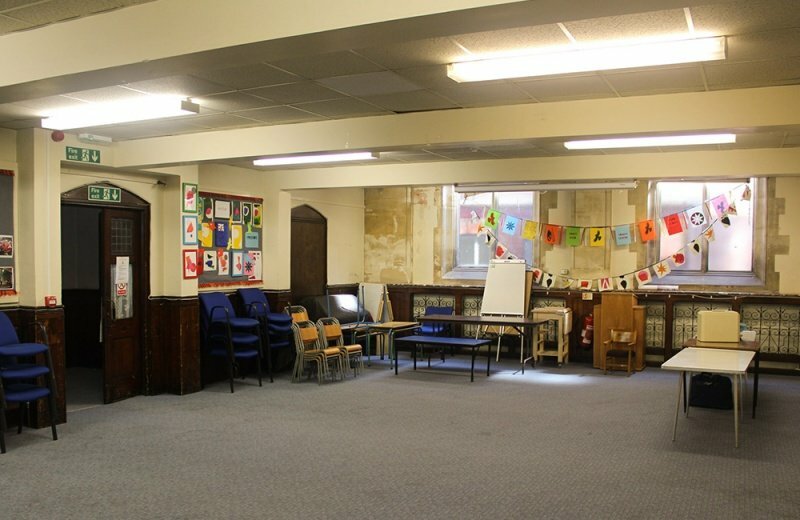 The Lower Hall is a multifunctional room. It has chairs and tables as well as flip chart boards. There is an adjoining double window access through to the kitchen. It is often booked in conjunction with the Sanctuary for large events to keep food provision separate from the main event. This has a capacity for 40 people. 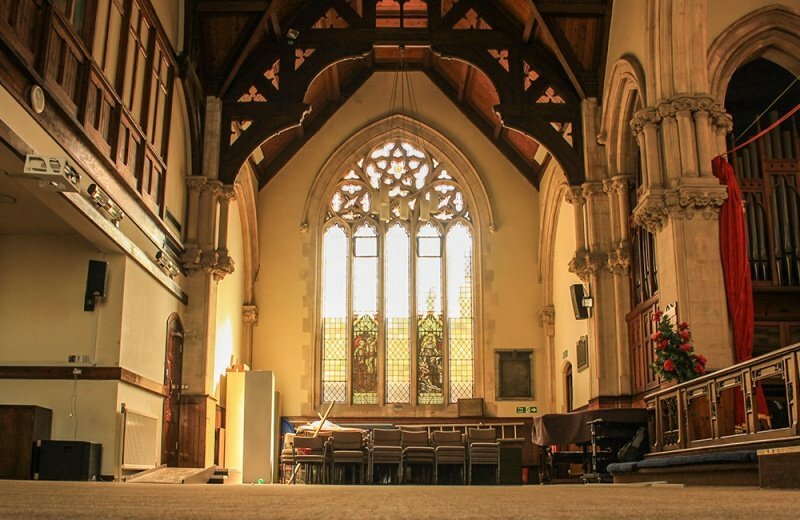 The Upper Hall is a large space with the Trinity Centre’s signatory stained glass Rose Window. This space has comfortable seating with a kitchenette. This has a capacity for 50 people.